It could be argued that King David was one of the most famous kings of all time. But, what was it about him that made him so special? A study of his life and profile of his character will show us what it was that made him so special. From the earliest days of David’s life until his final words to his son, Solomon, King David had a very significant place in history (1 Samuel 16; 1 Kings 2:1-11). He was born to his parents in Bethlehem, but despite his humble beginning, even his father was to play a significant role in history (Isaiah 11:1). It was his father, Jessie the Bethlehemite, that was named by God as the person that Samuel should see to find the new King of Israel that God had provided (1 Samuel 16:1). While there, Jesse waited obediently while God directed Samuel to the young shepherd boy, David, as the one to anoint as king. It was through David that the earthly kingship of Jesus began. In Matthew 1:1-17 we see an incomplete ancestry lineage of Christ from Abraham, through David, to Jesus’ adoptive father, Joseph, who was married to Mary. It is notable that this lineage of the kingship of David was passed down from David’s son, Solomon, down through the generations to Salathiel, listed as the son of Jechonias (Matthew 1:12). However, Jechonias was cursed by God for his wickedness so that none of his biological sons or descendants would rule as a king (Jeremiah 22:24-30). Therefore, the kingship of David to Jesus was transferred from David’s son, Solomon to his son Nathan. Salathiel was a biological descendant of Nathan. His name was listed as a son of Jechonias, not because of biology, but because of royalty. If you track the descendants of Salathiel, you will find that his lineage continues to Jesus’ mother, Mary (Matthew 1:12; Luke 3:27). This can be seen by comparing Matthew 1:6-12 with Luke 3:27-31. Likewise, if you continue to track the lineage that was cut off in Matthew 1:12-16 it carries through to Joseph, the husband of Mary. This lineage from David that was cut off also shows us that Jesus received His earthly kingship of David through His mother Mary, not Joseph. Because of this, if you continue to track Mary’s lineage back through Nathan, it continues through Abraham all the way to Adam, who is also listed as “the son of God” (Luke 3:31-38). Therefore, through David, Jesus inherited his humanity, which is why He could be listed as the “son of David” and “the son of Abraham” and “the second Adam” (Matthew 1:1; 1 Corinthians 15:39-49). 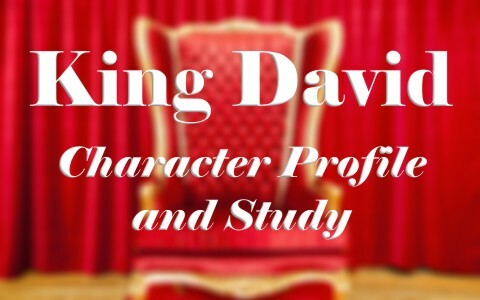 What is significant about David’s life and his character? What can we learn from the life and character of David? No matter what station we find ourselves in life, God provides equal access to His grace and forgiveness. God does not show favor to the rich, not does he curse the humble or poor. David demonstrated that no matter where you are in life, when we ignore the will of the Lord, we make bad decisions, which can often have tragic consequences. However, God provides forgiveness and blessing even when we do not deserve it. By our faith in Him, we too can be people after God’s own heart.